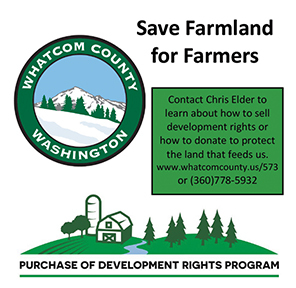 Whatcom Family Farmers published a REAL Environmental Action & Leadership insert placed in the March 31 issue of the Bellingham Herald, sharing the stories of Whatcom County farmers’ environmental leadership. The group has more copies for anyone interested in sharing at your place of business. Local businesses who helped with this project include CHS Northwest, Mills Electric, Peoples Bank (WA), Sumas AG Services, Whatcom Landscapes, Whatcom Conservation District, and more. Great work, in print! Follow their social media page or see https://www.farmersforreal.org for more information. The Skagit Valley Food Co-op will be giving away free trees to the first 300 customers (one tree per customer) on Earth Day! They will also have 20% off on all bulk items that day. The Skagit County Public Works Department is seeking individuals or firms interested in providing easement monitoring services in support of the county’s Farmland Legacy Program. Agricultural experience preferred. For more information visit skagitcounty.net/Departments/NRFarmLegacy/Main.htm. The Lopez Lamb, Wool & Goat Festival will be Saturday, May 11. Free events for the entire family. Sheep and goats. Spinning, weaving, dyeing and felting. Sheep shearing and fleece sale. Vendors of local crafts, food, and farm products. Mediterranean Lamb Extravaganza Plate Lunch to benefit the Lopez Farm-to-School Program. Sponsored by Island Fibers. 10 a.m. to 3 p.m. Lopez Center for Community and the Arts, Lopez Village, Lopez Island. For information contact fibers@islandfibers.com, 360-468-2467, or www.islandfibers.com. Oak Meadows Farm is looking for a couple of people to join their poultry processing crew for the 2019 season. The season will last from May through November, and processing 1-2 days a week. Prior poultry processing experience is a plus, but not absolutely necessary. Knife handling skills as well as food safety and handling experience is also a plus. 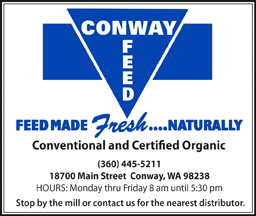 Located between Lynden, Ferndale, and Bellingham. Contact David Whittaker at Oak Meadows Farm at oakmeadows.farm@yahoo.com. Want to learn how herbicides actually work? This is a great chance. Herbicide Mode of Action with Dr. Tim Miller will be presented Tuesday, May 14. WSU Scientist Dr. Tim Miller will discuss the process known as ‘mode of action’. Learn the ways that several common herbicides such as glysophate, 2, 4-D, dicamba, and tri-clopyr actually work. Be prepared for a chemistry lesson. Free. No registration required. 1-2:30 p.m. WSU Mount Vernon NWREC Auditorium, 16650 State Route 536, Mount Vernon. 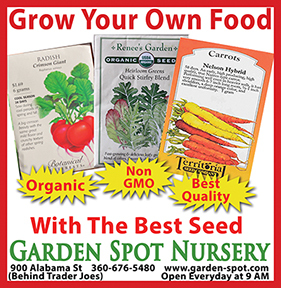 Contact Alex duPont, Master Gardener Program Coordinator, at alex.dupont@wsu.edu or (360) 428-4270 ext. 227. The Skagit Museum is exhibiting the ‘Who ARE We?’ collection and ‘This Skagit Life’ this month. ‘Who ARE We?’ is a collection of stories that explores a diverse group of Washingtonians who have defied long odds and shaped communities. “It explores who we are as Washingtonians, recognizing that this is a state constantly reinventing itself with new people and new ideas, while examining the lives of some of the most fascinating and diverse people who live in the state today.” Legacy Washington and the Secretary of State’s office loaned this exhibit. ‘This Skagit Life’ features interviews with Skagitonians – sharing what makes Skagit the unique and fabulous place it is. Stories from folks whose families have been here for generations – and those who have chosen to be part of Skagit just recently. 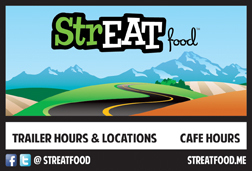 Support for this project was made by Skagit Watershed Council. The Museum is located at 501 S. 4th Street, at the top of the hill in La Conner. Admission is $5 per adults, $4 senior, and $10 family. Hours are Tuesday through Sunday, 11 a.m. to 4 p.m. For more information call 360-466-3365 or visit www.skagitcounty.net/museum. This project received funding from Skagit County Lodging Tax. Sustainable Connections has released their annual Food & Farm Finder, with opening day at the Bellingham Farmers Market on April 6. 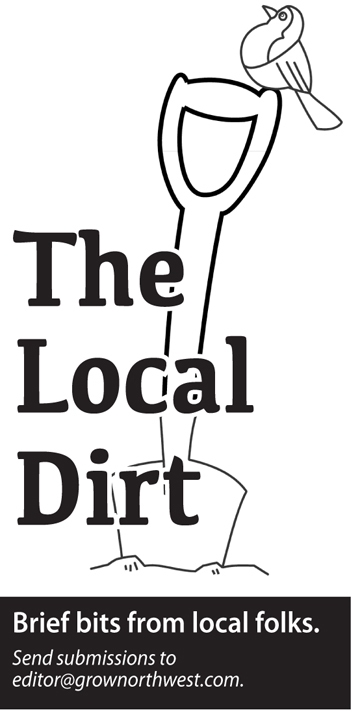 Over 120 local businesses are listed in this guide distributed in Whatcom and other counties. 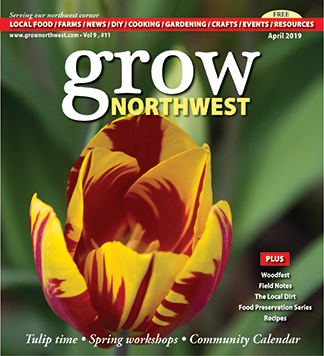 The guide is made with support from support from Whatcom County, Lithtex NW, Diane Padys Photography, Bellingham Farmers Market, Haggen, Whatcom Community Foundation, Scratch & Peck Feeds, Cascade Cuts, the City of Bellingham, Mt. Baker Care Center, and the Community Food Co-op. 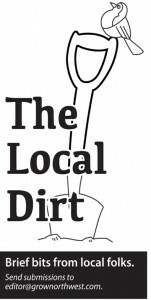 For more information, see https://eatlocalfirst.org/all-events/food-farm-finder-launch/. The Whatcom County Library System (WCLS) is raising funds through the inaugural Library Giving Day campaign. This one-day online fundraising event occurs on Wednesday, April 10, 2019 and encourages patrons and library lovers nationwide to make a gift to their local library system. Snohomish County Clothing Textile Advisors are preparing for their 9th Annual Fabric Sale to be held June 15, 2019 in Everett. Now they are collecting donations of fabric, notions, needlework, yarn, related supplies and equipment. Proceeds will go to local scholarships, grants and sewing classes. Call Arlene at 425-743-0118 or Julie at 425-835-0391 for additional details. Support your local yarn store during national Local Yarn Store Day on April 27! Stop by Northwest Yarns and Apple Yarns in Bellingham, and WildFibers in Mount Vernon. For those planning summer camps, the Boys & Girls Clubs of Skagit County are offering Explore Summer series. Clubs in Anacortes, Burlington, Concrete, Mount Vernon, and Sedro-Woolley will be open for extended hours during summer break, Monday thru Friday. Each themed week will include meals and snacks, field trips, and purposeful & intentional programs and activities that engage youth of all ages. Rates, hours, and ages vary between Clubs. Visit www.skagitclubs.org for more information or contact your local club.